Terroir Wine Imports Ltd., named for Terroir, which loosely translates to mean “sense of place,” strives to embody its name by selecting wine producers that share their passion for quality and use their expertise and vision to create wines with meaning. Based in Canada, Terroir Wine Imports is aware that Italian wines are extremely important in the Canadian market. This special interest in Italian wines originates from the number of Italians that live in Canada and also from an appreciation for fine red and white wines produced throughout various regions in Italy. As a company focused on carefully selecting wines in order to introduce them into the market of Ontario, Canada, they take special notice of the trending popularity of Italian wines. In addition to wines from Italy, their brand portfolio includes high quality wines from Portugal, Spain, Chile and South Africa. Matthew Naranjo, CEO of Terroir Wine Imports, further fills us in on the importance of Italian wines in the Canadian market and his excitement about attending the upcoming Wine Pleasures Buyer Meets Italian Cellar Workshop. He also takes us back to the beginning of his career in the wine business. What interested you in starting Terroir Wine Imports? At the time when the idea first came to mind, I was 25 and studying creative advertising in college and working part time at a fine dining restaurant. I started to learn about wines and became increasingly interested by the wide variety of styles, flavours and nuances of wine. I also started to feel that the high pressure world of advertising maybe was not the right step for me. I decided that I should do something that I could enjoy and the idea was very romantic. I quickly learned that the wine industry is fiercely competitive and hard work, but it has many perks and I would not trade it for any other profession, except maybe pro soccer player. What do you feel are the benefits of the Wine Pleasures workshop methodology opposed to a large trade fair? 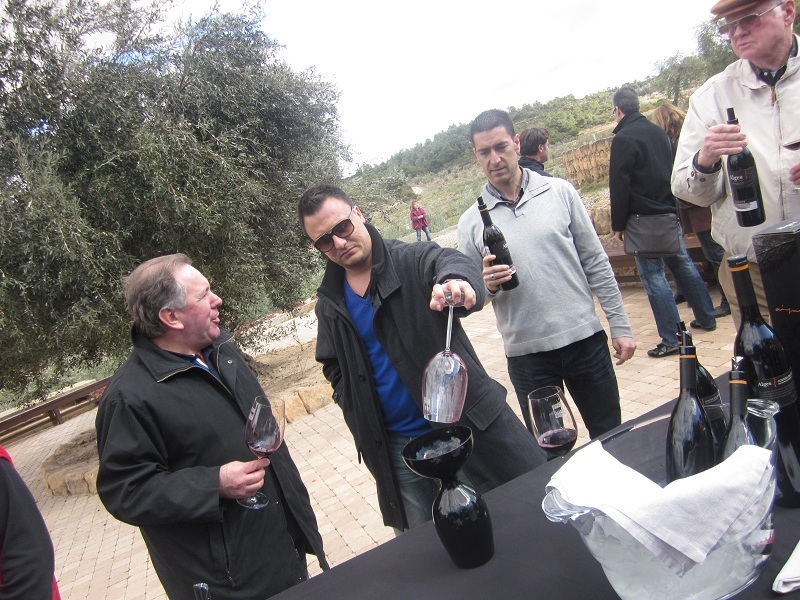 I feel that the Wine Pleasures method is better than a large fair because it is more personal and it gives you the proper meeting time that it takes to discuss your market and goals. Larger shows always feel rushed and you have to compete with many other people to speak with the suppliers you are interested in working with. I am hoping to meet new wine industry people and ideally work with at least one or two new suppliers. Also, most importantly, I am looking forward to learning more about Italian wines. It is one thing to read about wines but you have to really visit the region to get a true appreciation for it. How do Italian wines fit into your market? Italian wines are very important in our Ontario, Canada market. There are many Italians here and Italy is one of the top imported wines, increasing market share marginally over last year. It has a very strong presence. What kind of wine stars are you hoping to find at the workshop in terms of color, price, and region? Italy has many great wines from various regions; I am looking for good value wines from any region. That could mean a $13.95 Canadian retail pinot grigio or a $29.95 Canadian retail Amarone. Italian wine producers would do well to sign up for the upcoming Wine Pleasures Workshop Buyer meets Italian Cellar on November 5-7 and set up a meeting with Matthew Naranjo to discuss wine distribution in Canada.